The Cypriot Statistics Service (CYSTAT) announced that prices for houses and apartments in Cyprus increased by an average of 0.2% in the third quarter of 2018 compared to the second quarter in the latest housing price index (HPI). 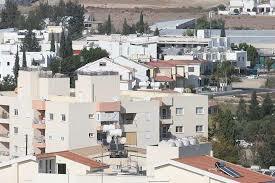 HPI also reports that residential property prices in Cyprus rose by 1.7% year-on-year. According to a CYSTAT press release, the Cyprus House Price Index (HPI) is a quarterly index that measures the change in average house prices. It covers all types of residential properties, both new and existing. The source of data used for the indices is the Department of Land Resources and Surveys, the Ministry of the Interior. The data covers all areas that are under the control of the government of the Republic of Cyprus.